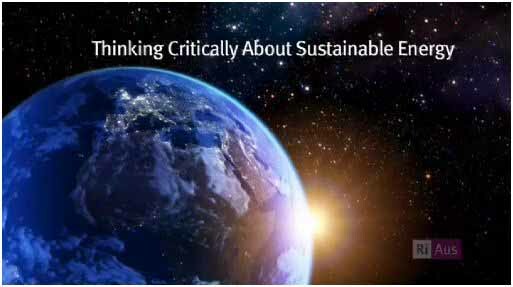 Listen to Peter Seligman speak at the final Thinking Critically About Sustainable Energy forum. This RiAus and Centre for Energy Technology event was the final of six public forums aimed at providing comprehensive examinations of sustainable energy technologies and critical evaluations of their potential for reducing carbon emissions. It is estimated that in the year 2050 the global demand for energy will be five times what it is today. At the same time we will be faced with rapidly dwindling reserves of fossil fuel and international laws that limit carbon emissions to perhaps 20 per cent of their current levels. Listen to an expert panel examine the systems and technologies that might be at the forefront of a reliable, sustainable energy grid in the year 2050. To access audio-visual material from this event, please visit our website. This entry was posted in CET, events, podcast and tagged CET; Centre for Energy Technology, nuclear, Renewable energy, Thinking Critically About Sustainable Energy. Bookmark the permalink. Interesting talk. He made a claim about the potential of a hypothetical hydro dam running over the edge of the Great Australian Bite. Just build an ENORMOUS dam, fill it with seawater from 90 meters below, and then this can act as a battery that would power the *whole* of Australia for 10 hours should all other sources of renewables go down. Anyone got his source documents or papers on that, and what it would cost? The Environment Institute Blog has moved! Water Wednesday: Unconventional Gas seminar presentations now online.